Looking for private in-home or in-studio Flute lessons? Our Helotes teachers are ready to get you started. Find your teacher today! Flute players need good technique, like any other instrument...but playing doesn't have to just be fluffy high notes! Learn how to play your favorite tunes with style! Flute is my primary instrument. I have been playing for 30 years, teaching for over 20 and teaching online since 2013. My flute students range from beginner to college and all who take consistent weekly lessons become excellent flutists. Beginner through advanced, children and adults are very welcome. 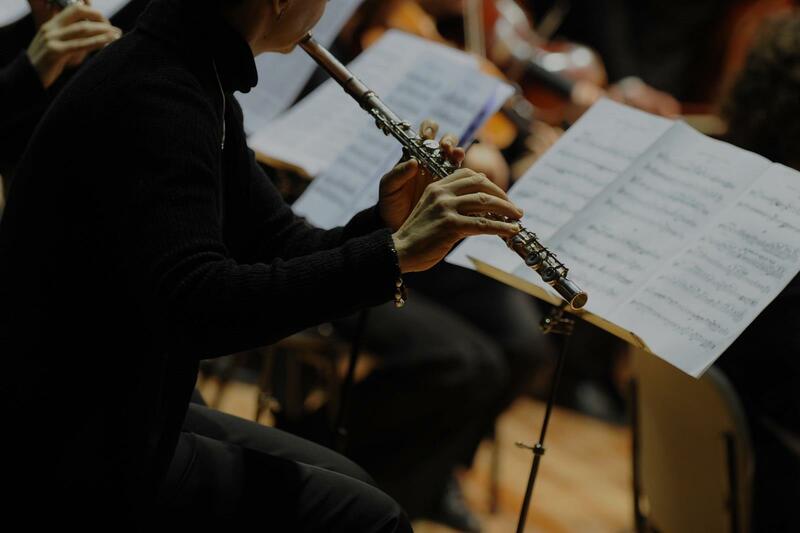 Access decades of flute experience and a thorough knowledge of flute repertoire along with solid teaching work. residing in the Greater New York City Area. She has taught masterclasses and workshops in Washington, California, Pennsylvania, Virginia, Iowa, Utah, and New Jersey. She is currently on faculty at the Rutgers Mason Gross School of the Arts Extension Division as flute instructor and chamber music coach. During the 2016-2017 school year, she was on the Flute Faculty at the Center for Musical Excellence in New Vernon, NJ. She also served as the Director of Admissions. Educator with 9 years of experience, focused on providing personalized education and incorporating new technology into the teaching process, as well as fostering intellectual and personal growth and serving as a role model who instills a lifelong desire to learn. I have experience teaching in a high school setting. My lessons will be tailored to the wants and needs of the students as this is the students lesson. We will play pieces that the students enjoy while working on technical and performance techniques. I want my students to have fun and also accomplish great things! Hello! My name is Alyssa, and I come from the small town of La Grange, Texas, USA. Growing up I have had a passion for helping others, learning, and music. I started playing flute in the 6th grade and fell in love. That's why I decided to pursue a career in music education as a flute instructor, and eventually a director of bands for a middle school or high school! I already possess an Associates of Arts from Blinn College in Brenham, Tx, and I am currently working towards my BM in Music Education at Sam Houston State. I want to share what I know about music with others to help better their playing abilities, and hopefully touch their lives as my instructors have done for me. Thanks for reading my bio! I've been teaching flute lessons for over 6 years! I love to watch each student grow as a musician and tailor each lesson plan to each students needs. I have a Bachelors of Music from Cornish College of the Arts in Seattle WA and have been playing the flute for over 21 years. I've performed with numerous groups including the River Winds Band in Bothell WA. I feel that my teaching style is very flexible and I use positive reinforcement and productive practicing techniques in order to best teach each student. I enjoy performing in a group as well as my solo work. I plan on continuing my Music Education in the near future to better develop my teaching techniques and keep up with the latest music trends. life and know time is precious and valuable. Including yours! I am very passionate about the quality of music I teach and perform. Jennifer was a great teacher! She taught me for 6 years up until college, where I am now studying flute and music! I was able to accomplish everything that I wanted, and grew as a musician. I couldn’t have done it without Jennifer. She is super relaxed, but ready to work on whatever you want. I was able to perform in so many things like in Australia, at all state, all nationals, and the western international band clinic with Jennifer’s help! I can’t reccomend her enough! Jennifer was a perfect fit when my daughter started in 4th grade. I was concerned that my daughter would not like learning an instrument, but Jennifer knew exactly how to work with her style. She flexes just enough to keep hesitant students engaged, and is great at understanding learning styles. Jennifer is wonderful! She has been working with my daughter for 5 years now and continues to encourage my daughter to do her best and strive to excel! I highly recommend her!